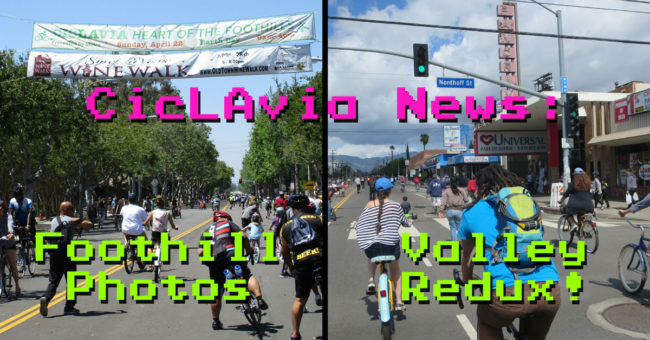 CicLAvia Action: Foothill Photos and Valley Returning in June! 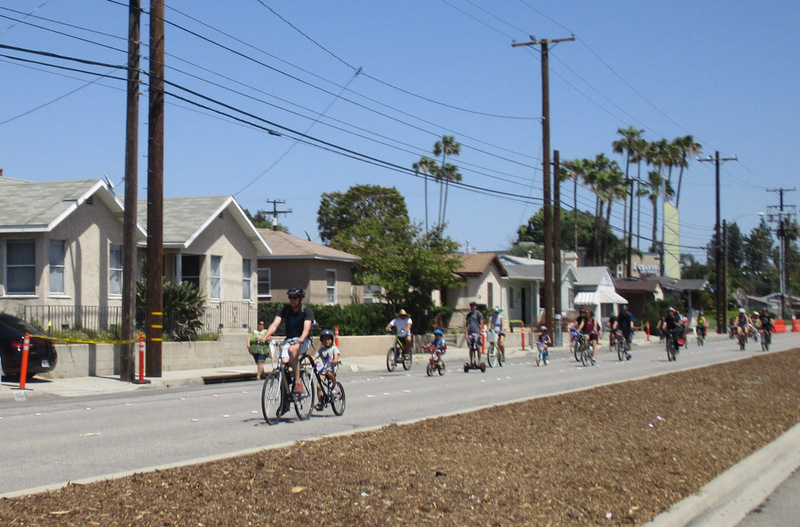 This is not my regular CicLAvia post. Normally, I finish up an event with a photo recap, but yesterday’s news caught me off guard. I’ve been hearing something about a Valley return, but not the Pacoima / Arleta / Panorama redux from two years ago. 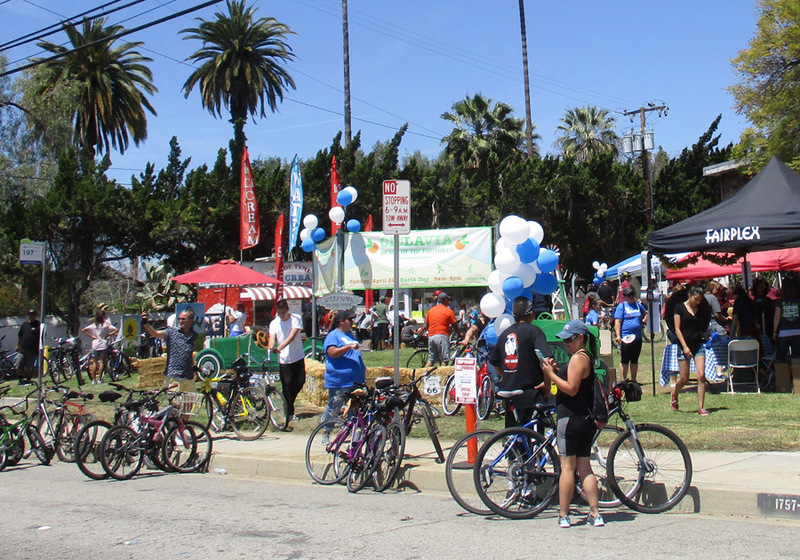 I felt a little empty after CiclaValley 2.0 because it clearly wasn’t as much of a success as the North Hollywood / Studio City inaugural edition. Clearly, the early rain had a big effect as crowds did increase in the afternoon, but when the forecast calls for showers a few days before, it’s understandable when people make other plans. Mural Mile is coming back! 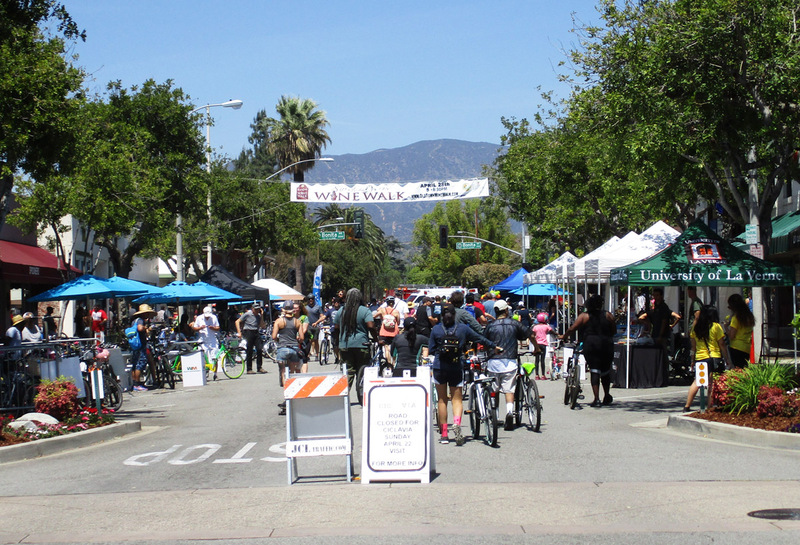 Last month’s San Fernando Street Festival was a pretty big success and hopefully the NE Valley will ride this momentum. Having two months of notice doesn’t give me much time to prep a preview, but since this is the same course, guess who gets to use the cut and paste function? While the timing of this announcement could have been better, I’m still living off the high from yesterday’s event. 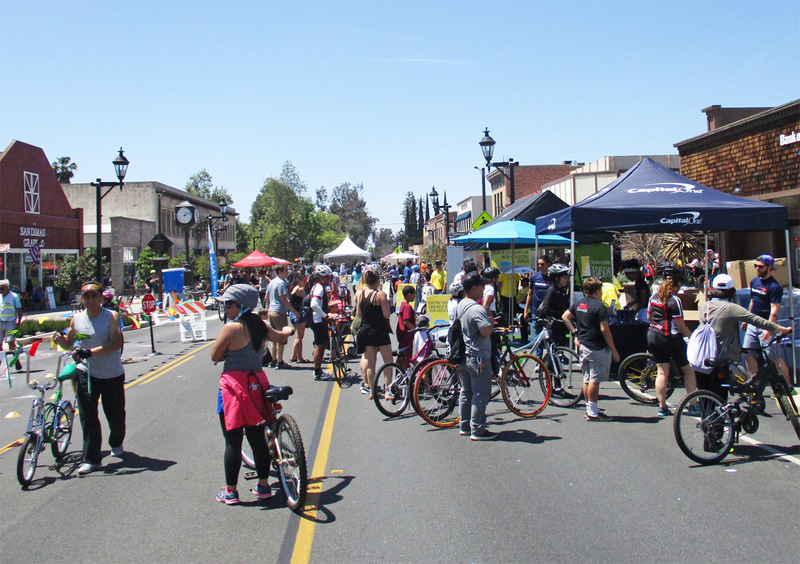 The Heart of the Foothills showed the strength of CicLAvias. 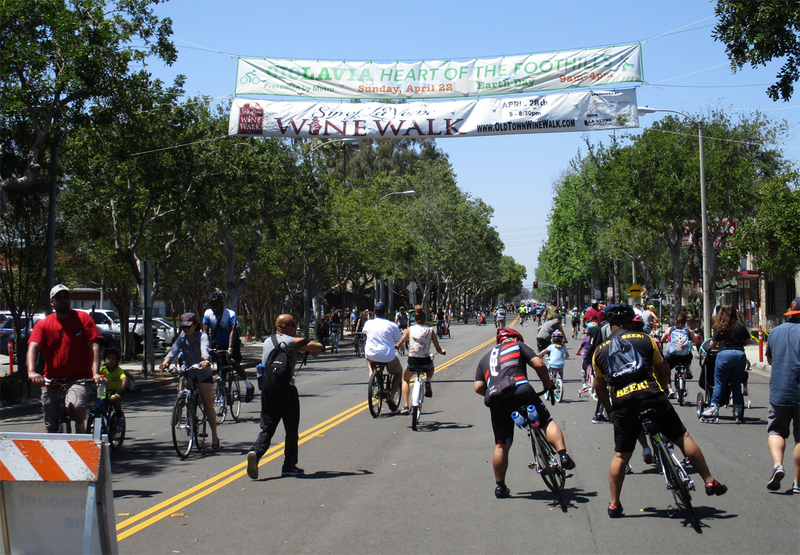 Do most people from Los Angeles know about the Pomona Valley? I’m not even going to summon my R & D Department because the answer is no. Unless you’re a local to the area, most of us zoom by on either the 10 or 210 freeways on our way to weekend trips to Palm Springs, Big Bear, Vegas and the like. 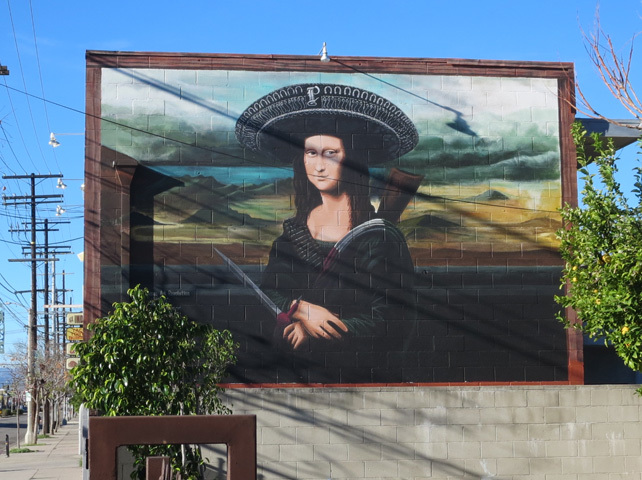 I’ve passed though enough to know there’s a lot of intrigue there, but you’re going to have to see PV at street level and what better way than a CicLAvia? I didn’t have all the time in the world to explore, so I skipped Claremont since it was the area I was most familiar. Attendance was strong and it was apparent that the locals came prepared leaving a great impression for all that came. 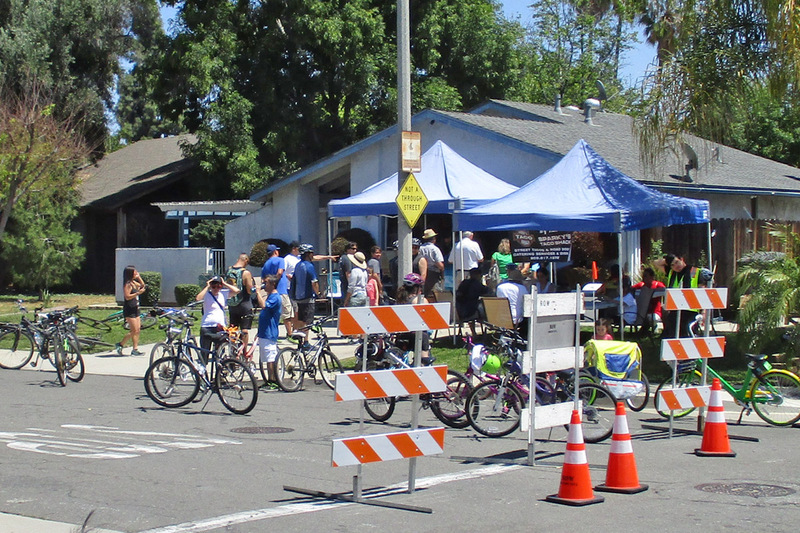 The Pomona Hub was pretty jacked especially with the County Fair representing. One of the first things I saw at the start of the day was this little seat rack modification via a broken skateboard. Smart. 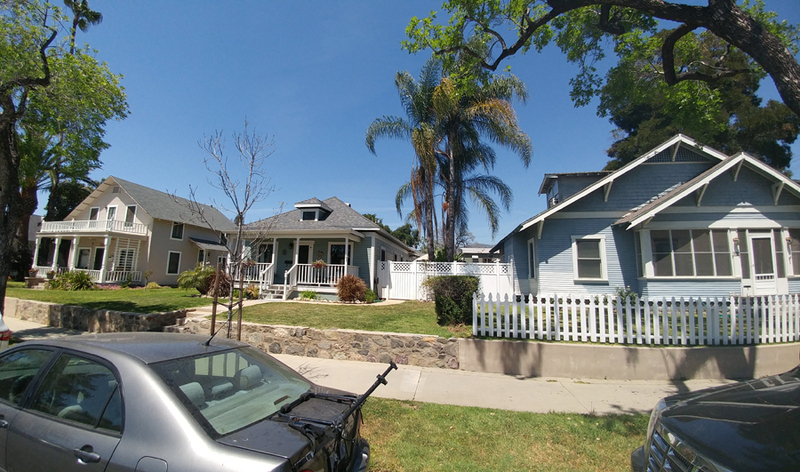 For this one stretch in Pomona, you almost couldn’t put these houses any closer to the street. You don’t see too many single family residences like that. I never thought about just hanging out with my friends on a train track…until this! 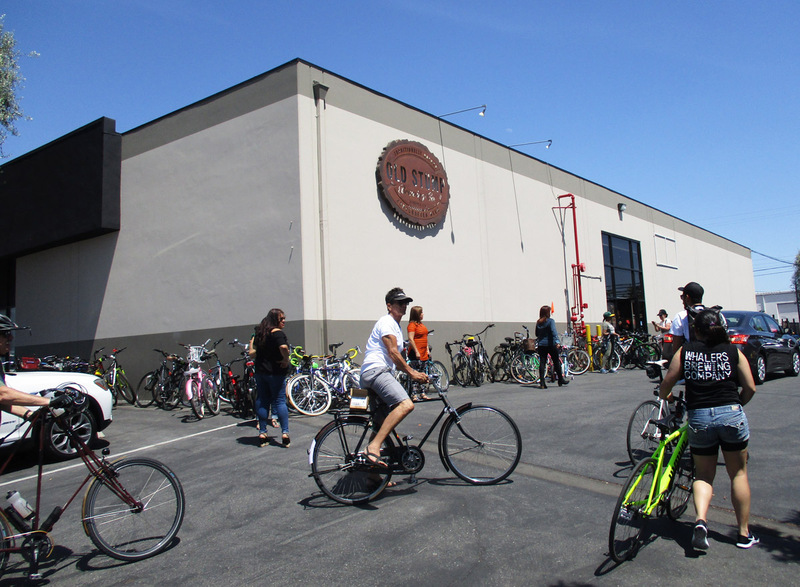 This doesn’t fully illustrate the bike parking problem Old Stump Brewing Company had. The whole building was surrounded by these leaners, but it was so bad that even the building across the street had an equal amount of overflow. You ever thought about selling street tacos out of your home? 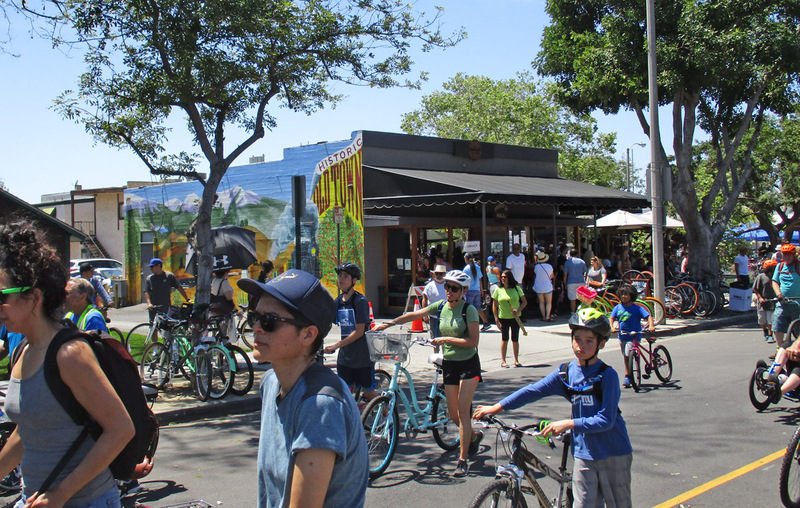 If it’s a CicLAvia, then you’ve got customers. 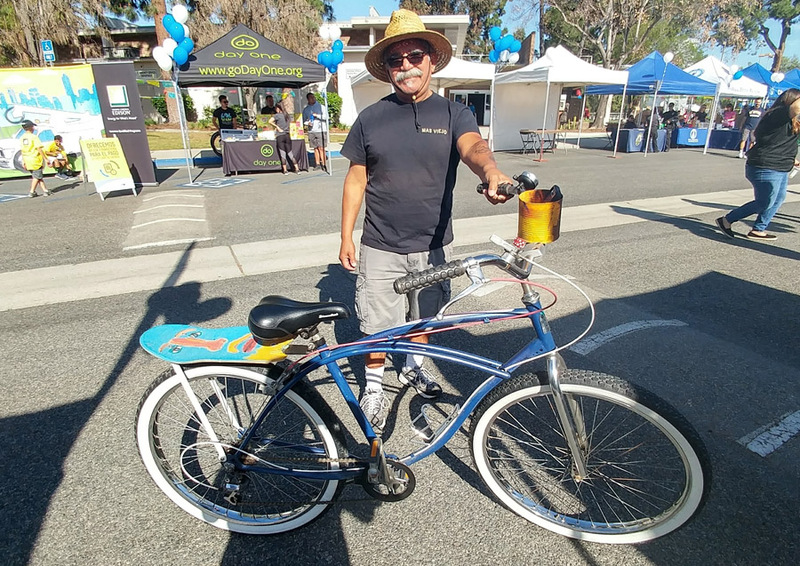 La Verne proved once again how bad CicLAvias are for business…. 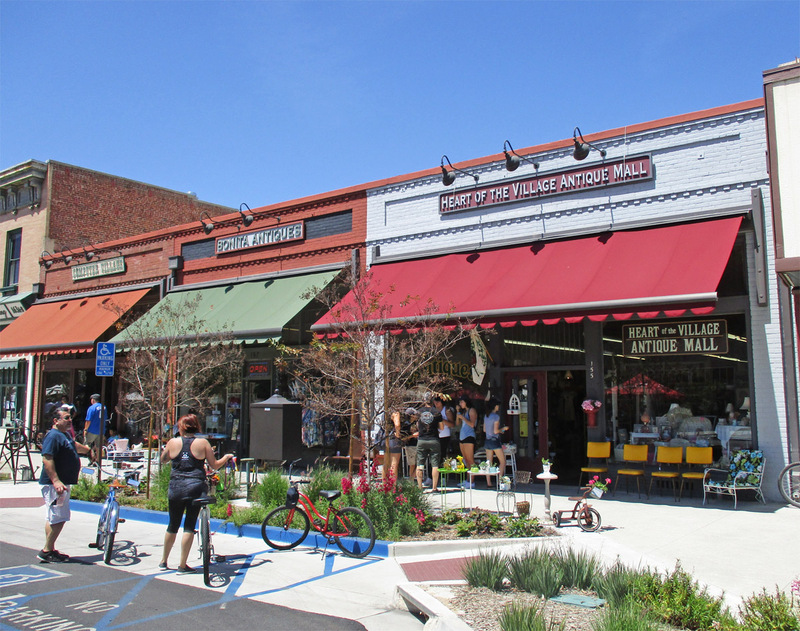 La Verne is another century+ old community with a lot of great remaining architecture. This part of it’s downtown was standing room only for the day. This classic Firestone was pretty empty. Imagine if they sold bike tires! I hadn’t heard of Damien High School before today, but it looked 90210 nice. Plus, they have a mountain biking team! 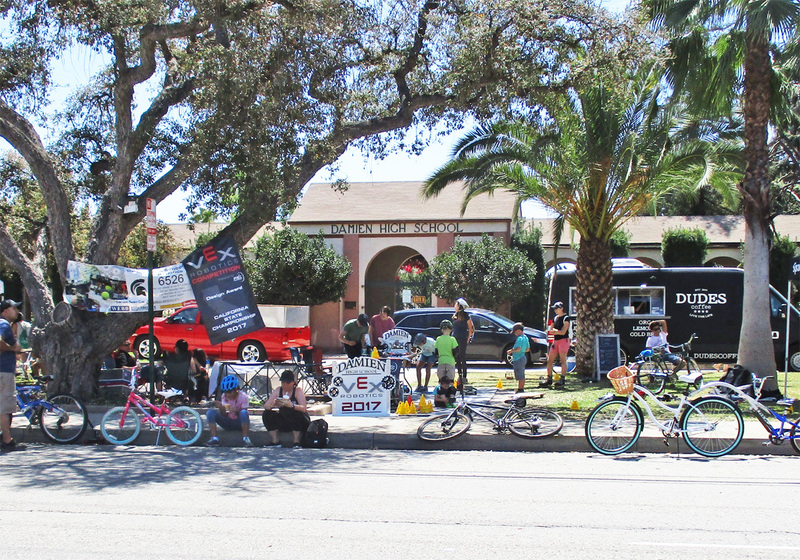 San Dimas also has a deep roots. 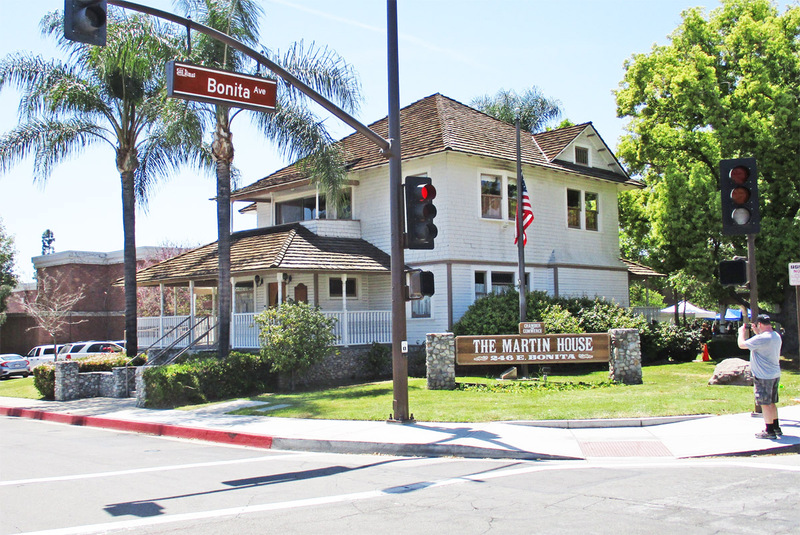 The Martin House was built in 1900, but moved across the street from City Hall thirty yeas ago. There is a western feel for San Dimas, although I’m pretty sure shootouts aren’t allowed. This old-timeyness made me want an ice cream. I’m still working on the connection of this thought. 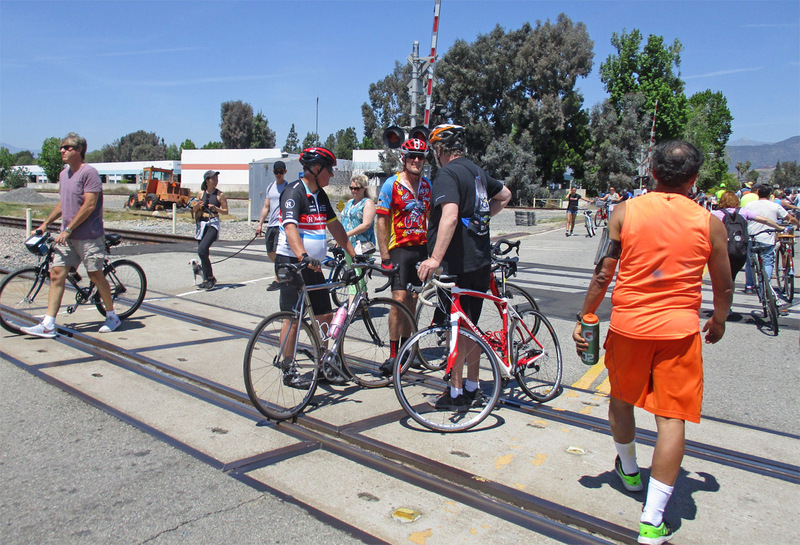 One thing to remember at CicLAvias is to wander off course. I remember that San Dimas was used to depict 1920’s Los Angeles for the movie Changelng and there’s blocks and blocks of this Americana abound. 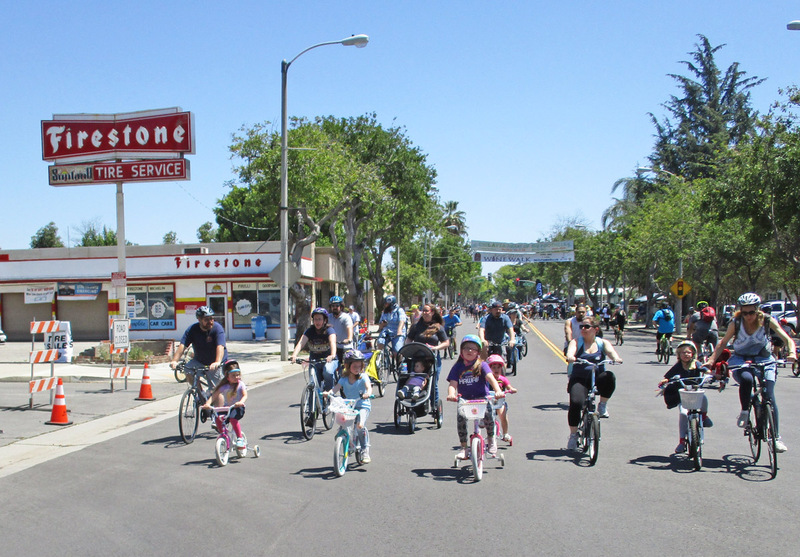 Once again, it’s time to say goodbye to CicLAvia until June 25th!